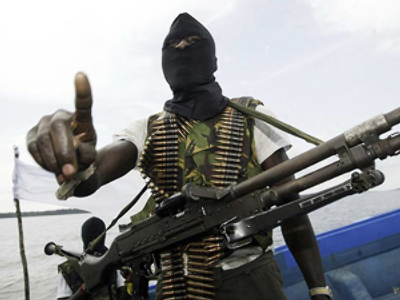 Russia’s Prosecutor General’s office has called on the UN to create an international court to try Somali pirates. The proposed court could be similar to the international tribunals in the Netherlands involving Yugoslavia and Rwanda. The officials also said that 29 suspected pirates captured by a Russian destroyer in April could be tried in Russia. In an interview with Rossijskaya Gazeta, to be published on Wednesday, Deputy General Prosecutor, Alexander Zvyagintsev, said that since Somali did not have an effective government “it is senseless” to hand pirates over to Somali authorities. "Therefore, the entire responsibility for starting judicial proceedings rests with the state whose ship has seized these pirates," Zvyagintsev told journalists. Somalia has been torn apart by a civil war since the 1990s and is considered incapable of taking responsibility for the piracy problem. Pirates operating off Somalia are reportedly holding 17 ships and about 300 hostages, Russia’s Deputy General Prosecutor said.